The initial pilot implementation site of TIST was in Mpwapwa, Tanzania. 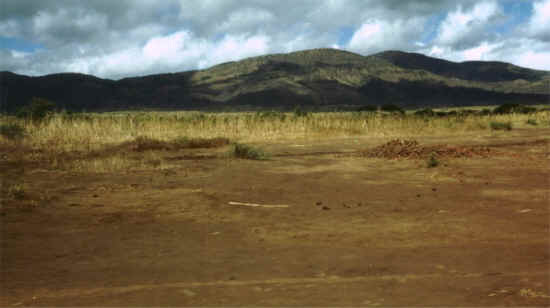 Mpwapwa is located southeast of Tanzania’s capital, Dodoma. Tanzania is one of the poorest countries in the world, with a per capita income of $280, and Mpwapwa is one of the poorest areas of Tanzania. Infant mortality is very high, with 98 deaths per 1000 live births. Adults live to 52 years on average, but recent data indicate that close to one-third of local young adults are HIV+ so this life expectancy may decrease. About 80% of the adult males can read, compared to 57% of adult females. About half of the population in the area lives below Tanzania’s poverty line. 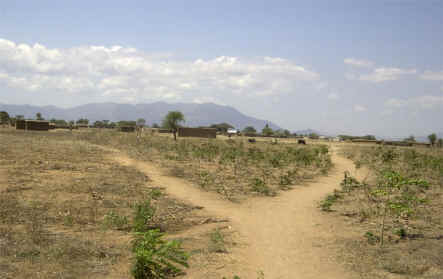 Mpwapwa is semi-arid. The land was once well forested and replete with wildlife. Now, as a result of "slash and burn" subsistence farming practices and the increasing demand for charcoal for cooking, most forest land has been depleted over the last 50 years. These practices have exposed the fragile topsoil to severe erosion during the hard, brief rains found in the annual rainy season. Water tables have dropped, and rivers that once flowed year-long now dry up between rainy seasons. Yield from the local dominant crops – maize, millet, and ground nuts – has averaged 3 bags per acre, but even this average is nearly impossible to attain during droughts, and as a result, famine results. There are virtually no widespread relief programs in the area. The church in Tanzania has therefore played a vital role in connecting local parishes with international resources. The TIST project is an important example of how a project that began as part of a church-growth strategy has led to pragmatic strategies to alleviate famine and restore forests. "Two Paths Diverge -- Which One Shall Mankind Take"
In 1998, Anglican Bishop Simon Chiwanga of the Diocese of Mpwapwa (DMP) invited a team of missionaries from Truro Church in the USA led by Vannesa and Ben Henneke for an initial seminar in Small Group Servant Leadership. An initiative began to organize the members of his Diocese into self-supporting, cooperative Small Groups. These groups would empower his community toward helping themselves, strengthen the church, empower the lay people, and reduce the load on his clergy. These groups would become resources for each other and work toward sustaining life for members. The US mission team returned a year later and conducted a follow-up seminar. During that Small Group seminar Mpwapwa participants developed the goals of sustainable agriculture and tree-planting. In late 1999, led by Clean Air Action Corporation (CAAC), this idea became the TIST program designed to achieve integrated sustainable development objectives including taking actions that reduce greenhouse gas concentrations in the air for a new “cash crop” — growing trees — for carbon sequestration; conservation agricultural management; food security; and basic business management.